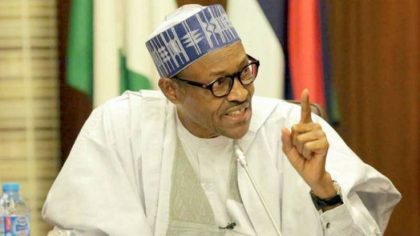 Retired Maj.-Gen. Oluyemi Bajowa says President Muhammadu Buhari is the most suitable Presidential candidate that can successfully eradicate corruption in Nigeria. Bajowa made this known on his twitter handle on Friday on the occasion of his 78th birthday message to Nigerians. “We will need President Buhari once again for he has acquitted himself well in his fight against corruption. “He is no doubt putting a check on the Boko Haram insurgency and his social investment package for Nigerian youths is second to none,’’ he said. Bajowa, who is the Agunmolu of Ikale Land in Ondo State, urged electorate not to throw away their votes by voting for political mercenaries and politicians who would mortgage their future through corrupt tendencies. He noted that Buhari had a dependable antecedent of untainted integrity, unalloyed honesty and altruistic passion for the Nigerian project. Bajowa noted that he had worked with Buhari as a military officer, noting that he could vouch for his integrity. “I worked with him for four years when I served as the Adjutant-General of the Nigerian Army, so I know him very well. I equally know all the Generals as a result of my position as the former Permanent Secretary of the Ministry of Defence. “Also as former Permanent Secretary, Federal Ministry of Industry and former Permanent Secretary, Federal Ministry of Science and Technology, I can tell you that Buhari has integrity. “He has honesty and he is a person who is sincerely passionate about the unity, progress and economic revival of Nigeria,’’ the retired army general said. He advised Nigerians to shun the candidature of a person once termed “corruption personified’’ by one of the Nigerian former presidents that could not in any way be compared to Buhari in terms of untainted integrity. Bajowa, who is the convener of Legacy Forum, a platform for the actualization of Muhammadu Buhari’s second term, said that he and eminent Nigerians of like minds would work toward ensuring the overwhelming victory of President Buhari in the 2019 elections. The retired army general implored Nigerians to be steadfast in their prayers for the nation, saying that “we all should see Nigeria as a big project that must neither falter nor fail’’. While bearing his mind on the nascent democracy in Nigeria, Bajowa said it was a good thing that democracy was budding in Nigeria, noting that the country had enjoyed uninterrupted constitutional democracy since 1999. He, however, regretted the fact that the party that once ruled Nigeria for 16 years plundered the nation to no end.